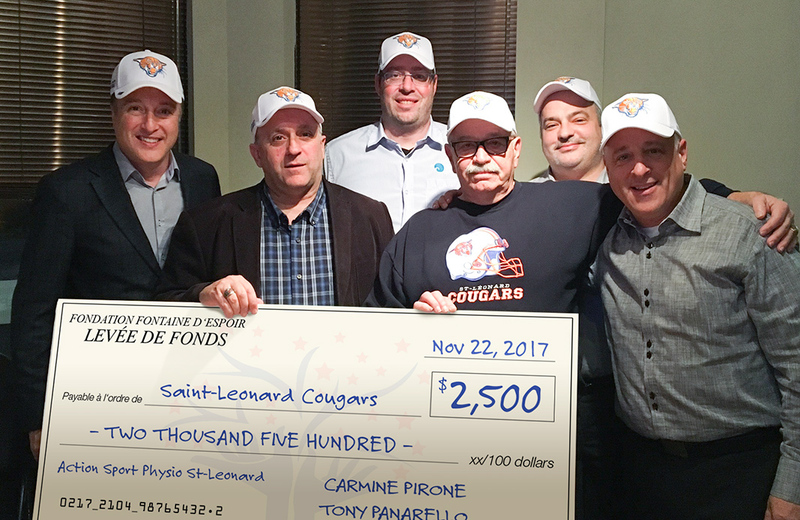 Donation to Action Sport Physio Saint-Leonard to help the St-Leonard Cougars with children suffering from concussions and to prevent Chronic Traumatic Encephalopathy (CTE). In the photo with the Board-Members is Mr. Tony Iadeluca, Commissioner of the St-Leonard Cougars who was awarded the Queen Elisabeth II Diamond Jubilee Medal in April 2013. Click here to become a partner with the foundation!